If you are planning a party, check out this Birthday Express Coupon! Right now at Birthday Express you will save $10 off a $50 order when you enter the code BCBBWKSN145 at checkout! You can also get FREE 2-Day SHIPPING with ShopRunner! 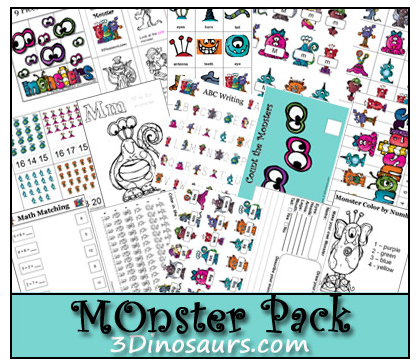 Download a free printable Monster Preschool Pack. Burt’s Bees Grab Bag $30 for Over $70 in Products: The ever popular Burt’s Bees Summer Grab Bag is out! It has 12 products (11 full sized) for just $30! 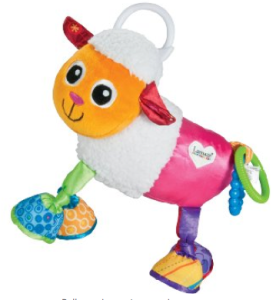 The Lamaze Play & Grow, Shearamy the Sheep is 61% off and currently priced at only $6.23. This would make a great first toy and it ships for free with Amazon Prime. It is $14.39 on Target.com so this is definitely a great price! Most of the baby gear items ship free with $50 purchase. See all Bonus Black Friday Items. Just a heads up!! The Spa Sonic will be a part of BLACK FRIDAY in JULY on Target.com . This sale will run July 12 – July 13. The Spa Sonic will be priced at $34, which is over 40% off of the normal price of $60.00! Head over and check out today’s Cents of Style Fashion Friday Sale! You will score Summer Sneakers for under $20.00 when you enter the code KICKS at checkout! Also, don’t forget that their infinity scarf deal is still going on through 7/16/2013! You can purchase infinity scarves for just $7.95 each with FREE SHIPPING! About Cents of Style: Cents of Style is all about feeling and looking great on a budget. They offer the latest Spring and Summer 2013 fashion trends. Trendy shoes, beautiful scarves, and fun jewelry. All here to help you “accessorize your life” at the lowest possible prices. If this is on your list, this might be a deal worth checking out! 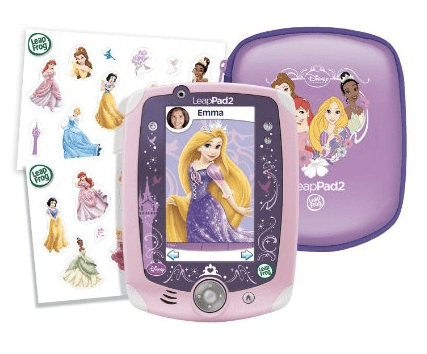 Right now on Amazon you can purchase the LeapPad2 Explorer Disney Princess Bundle for $101.96! Plus, shipping is FREE with Amazon Prime or with Super Saver Shipping on orders of $25 or more! I thought this deal was worth mentioning as deals on these sets are hard to come by! Appropriate for children ages 3 to 9 years. Requires 4 AA batteries (not included). After checking out Toys R Us clearance you posted, I headed to Kohl’s and found some amazing deals there too. Kids/Toddler clearance was an additional 25% off making for 75% off summer clothes. I got shorts for $2.10 for next summer for my little guy! Plus I had some Kohl’s cash that expired this week. In all, I got 7 pairs of shorts and a pack of undies for $20.39 – $10 (kohl’s cash) = $10.39! They had lots of shirts for $3-$4 too. If you don’t have a Kohl’s nearby, you can still snag some pretty sweet deals online! Plus, if you are a Kohl’s cardholder you can use the promo code JULYPYD to save an additional 15% plus free shipping on $75 – valid today only. Or, if you’re not a Kohl’s cardholder, you can use the promo code BLOGGER10 to save an additional 10% + FREE shipping on $75. Need to do some back to school clothes shopping!? Head on over to Shopko.com where they are offering up FREE shipping on all clothing (no minimum and no coupon needed!). Even sweeter, the FREE shipping promo works on all clearance clothing too… so be sure to check out the clearance section as there are lots of great deals to be had! Also, if you haven’t already, head on over here and sign up for the Shopko.com email offers to score $5 off any purchase of $25 or more coupon code! *Be sure to go through ShopAtHome.com for up to 3.5% cash back!